Posted on 03/11/2018 at 11:48. Should you visit Beijing in winter? Great question. Beijing winters are sometimes nippy and other times frigid. Whether you’re trying to save money, beat the crowds, or find a last-minute flight, winter is a great time for bargain hunters who don’t mind braving the cold to visit Beijing. If you are considering taking a trip to the city, be prepared for cold weather or even snow. You may be thinking about a visit in December, January, February, or early March. Even in the cold, the city never sleeps. It runs all night, but you’ll find yourself engaging in more indoor activities than outdoor activities. Although you’ll probably have to bring a larger suitcase and pack some heavy clothing, there’s a plenty of advantages to making the trip to Beijing off-season. Take a winter trip, and you’ll be pleasantly surprised at how much you’ll save and see. Read on to learn more why you should visit Beijing in winter. 1. The Tourist Attractions Are Less Busy. Beijing is busy all year round, but fortunately from November to March the following year, temples and museums tend to attract fewer travelers. The popular tourist attractions are usually quiet or have minimal wait times to get inside. Mutianyu Great Wall usually has less visitors in winter. This will allow you have more quiet time to explore the Wall in winter. 2. Accommodations Should Be Less Expensive. Traveling to Beijing during off-season is typically going to be less expensive. Hotels usually cost less in cold-weather months and probably have more vacancies than other times of the year. If your trip is last minute, you may get a great deal on hotels for say, next weekend. uring the cold season, you can expect to pay as much as 50 percent less than you would during other times of the year. Really. Just think, European breakfast buffet without the crowded lines and loud hotel lobbies — yes, please! 3. Quicker Service, Shorter Lines, and Smaller Crowds. The time of year you travel can mean the difference between having an incredible historical sites such as Forbidden City, Summer Palace nearly to yourself and standing in a two-hour line. 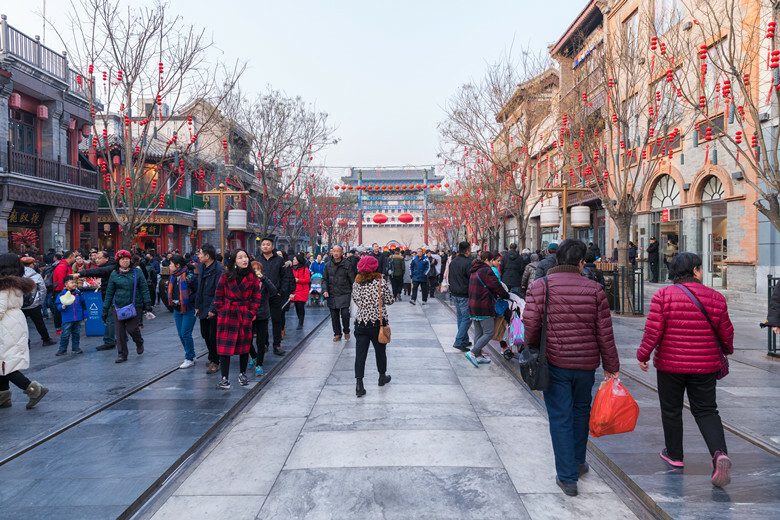 You’ll stand a better chance of walking into some of the best dining establishments in the off-season in Beijing, instead of reserving a table 30 days in advance, as usual. 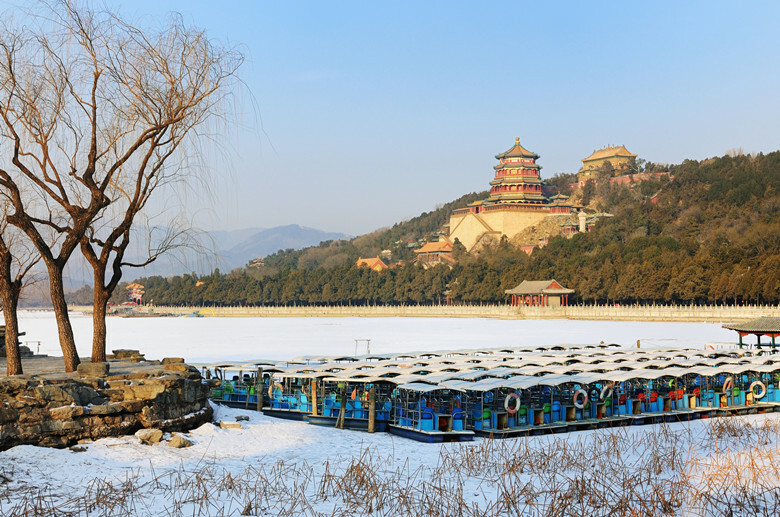 If you visit Beijing at the right time, you will find the parks and lakes frozen. This will give you the opportunity to do some ice-skating or ice scooting, whichever one you prefer. Outdoor ice rinks appear all around Beijing in the winter, so now this is your chance to find out. Escape the winter tourist-ridden sidewalks and have a bit of room for expressing your newly found freedom, even if you don’t have much control over where you are going. After an evening of ice skating in Houhai area, warm up with a cup of delicious hot chocolate at the cafes in Nanluoguxiang. 5. You Don’t Have to Wait For Summer For an Amazing Family Vacation. If you wait for the absolutely perfect time to visit, you are almost guaranteed to miss the mark. Now is the best time to go. Go when you are worried that your children are either too old or too young. Go even if you still have not lost the 20 pounds you have always wanted to lose. Go when you are celebrating a holiday, birthday, or whatever. Just go. Go and be with your family for one-on-one time and have a great time exploring all that Beijing has to offer.